For over 40 years, Seattle Tarp has been a provider of custom tarps for local businesses and independent contractors. These are often made directly to customer’s specifications out of an 18oz vinyl that can be used to make a variety of ground and other types of covers, and many other products that last for years, if taken care of properly. Prices are highly customized based on the amount of work and extra material your tarp needs, but we promise a reasonable price compared to the competition. All of our tarpaulins can come with a hem, meaning the edges are overlapped and sown, and can come with grommets, or ringlets, at any spacing you need. Please consult the custom order form for tarps at this current point in time, and our sales associates will get to sending a quote your way as soon as possible. Though we offer more materials than shown here, these are the main materials we work with at Seattle Tarp. 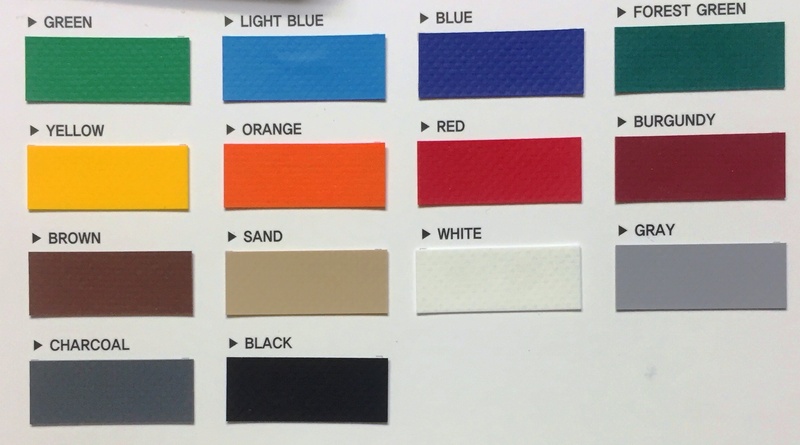 Each material is offered in a variety of colors to best fit your needs of the project. Explore new materials like our mesh and clear vinyls as well. START YOUR CUSTOM ORDER INQUIRY TODAY!